5.2-inch Nexus 5 coming from LG? The Google Nexus 5 smartphone will indeed be made by LG, if new reports this weekend are to be believed. Vietnamese site Tinthe, which earned plaudits for getting its hands on a Moto X handset a week before it was announced, now claims to have the skinny on the next Google-branded Android handset. According to the site, the Nexus 5 will boast similar innards to the recently announced LG G2 including the Snapdragon 800 quad-core processor, rather than the 600-series, as previously rumoured. In terms of the design, the report claims the phone will boast a 5.2-inch screen, thin bezels, a glass back and an overall look that could be compared with the new 2013 Google Nexus 7, made by ASUS. The conjecture over who will manufacture the Google Nexus 5 has become more interesting of late, following speculation that Google will bestow the handset on its own Motorola company. The company had pledged not to favour Moto and would certainly run the risk annoying its Android partners if the Nexus 5 showed up in Motorola packaging. As recently as May LG flat-out denied it was working on the handset, but reports in the last couple of weeks seem to have placed the Korean manufacturer in pole position to follow up on its popular Nexus 4. 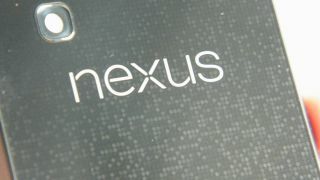 The Nexus 5 is also likely to be the first smartphone to run Android 5.0 Key Lime Pie, but that, as with Tinhte's most recent report, remains pure speculation at the moment.